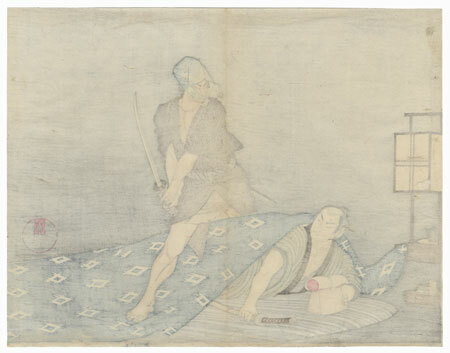 Night Attack Kuchi-e Print - Dramatic kuchi-e scene of a man in bed being attacked by a man wielding a sword. 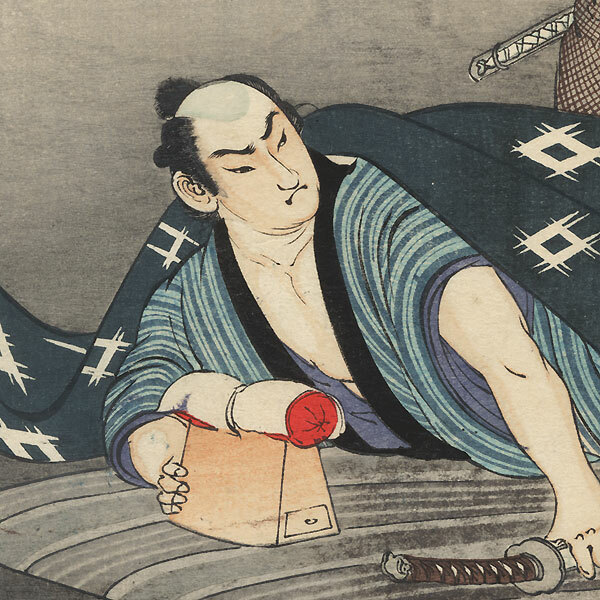 The assailant straddles the bed, gripping his weapon with both hands, his face partially hidden behind a dotted cloth wrapped around his head. 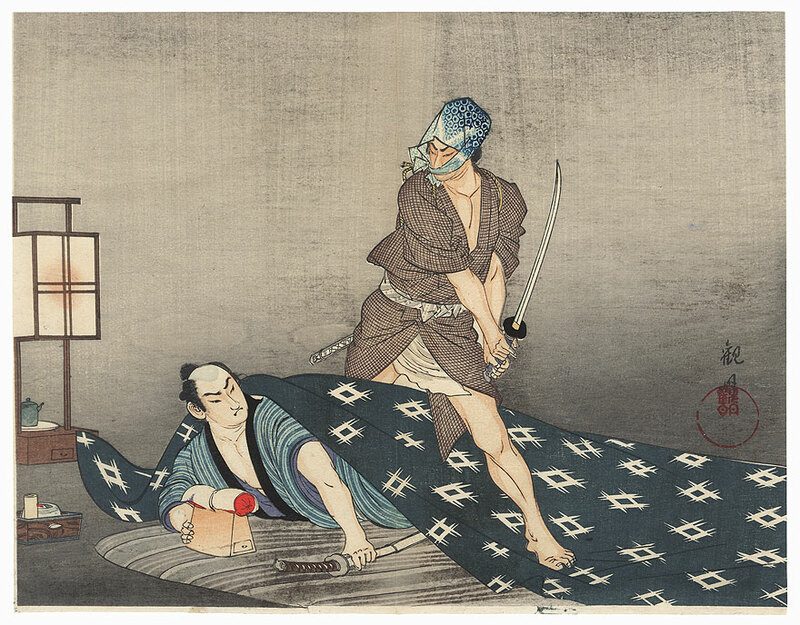 His intended victim reaches for the sword at his side beneath the quilt. An intriguing subject with fine detail and soft bokashi shading in the background. Condition - This print with excellent color and detail as shown. Slight paper remnants on reverse at edges from previous mounting. Vertical centerfold. Mark at edge, a few creases. Please see photos for details. Good overall.